BASIC: Add Sweet Matcha to mug. Pour hot water in mug. Whisk until matcha is combined with water. Sip, sip, ahh! SMOOTHIE: Combine all ingredients in a blender and blend until smooth. Adjust ice amount to achieve desired slushiness. 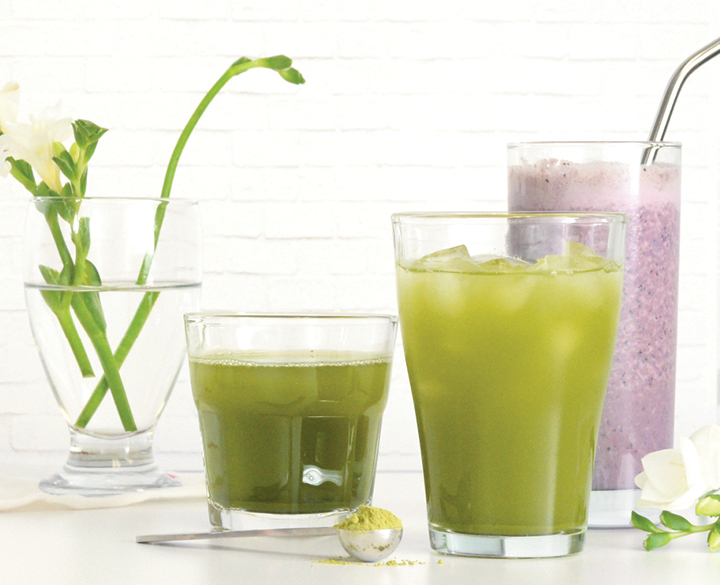 MOCKTAIL: Whisk matcha with water until combined. Fill 2 cups with ice and pour in sparkling water until cup is about 3/4 full. Divide Sweet Matcha mixture between both cups, pouring over sparkling water. Enjoy!